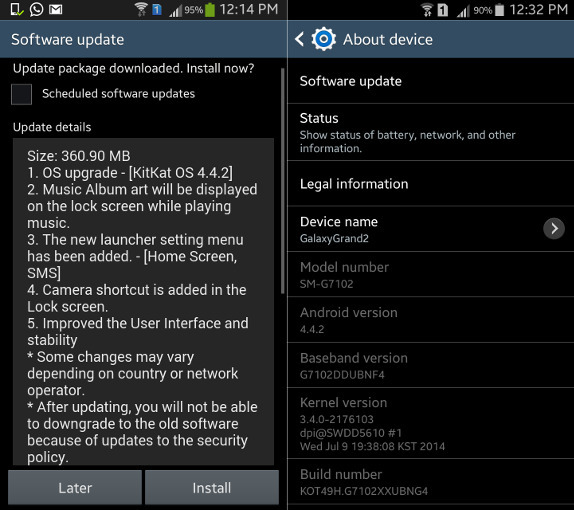 Samsung has started rolling out the Android 4.4.2 KitKat update for the Galaxy Grand 2 Duos (SM-G7102) Smartphone in India. 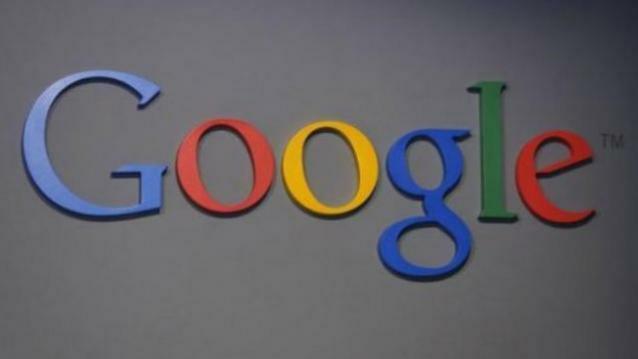 The device was launched in the mid January with Android 4.3 Jelly Bean out of the box. As many Smartphone’s getting the update, Galaxy Grand 2 Duos is the new Smartphone to get the update. The other devices which got KitKat update are Galaxy Note 3 got KItKat in January, Galaxy S4 in February and Note 2 got in early May. The size of Android 4.4.2 KitKat update for Samsung Galaxy Grand 2 Duos is 361 MB and is via OTA (over-the-air). The Smartphone users can check the update by going to Settings > About Phone > Software update. It is advisable to use high speed internet or WiFi while updating as the file size is really big. 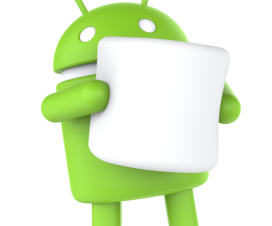 The Android 4.4.2 KitKat update adds wireless printing, minor UI changes, support for emojis and under the hood improvements like lockscreen Camera shortcut, White status bar icons, Samsung Wallet and KNOX, full screen music album art in the lockscreen and other performance improvements. Samsung Galaxy Grand 2 Duos is a 5.2-inch HD Smartphone with 720 x 1280 pixels screen resolutions and is powered with 1.2 GHz Quad-Core Qualcomm processor alongside 1.5 GB of RAM. It comes with 8MP autofocus rear camera with LED Flash and 1.9MP front facing camera. The device has 8 GB internal storage, which can be expandable up to 64 GB via microSD card and includes connectivity features like WiFi, Bluetooth, GPS/ a-GPS, 3G and micro-USB. The Galaxy Grand 2 Duos has 2600 mAh battery on the back to power the device.